This a dead rubber but both teams will be looking to sign off their early exit from world cup with a win, specialy Spain who can not afford to get beaten in third straight world cup match. 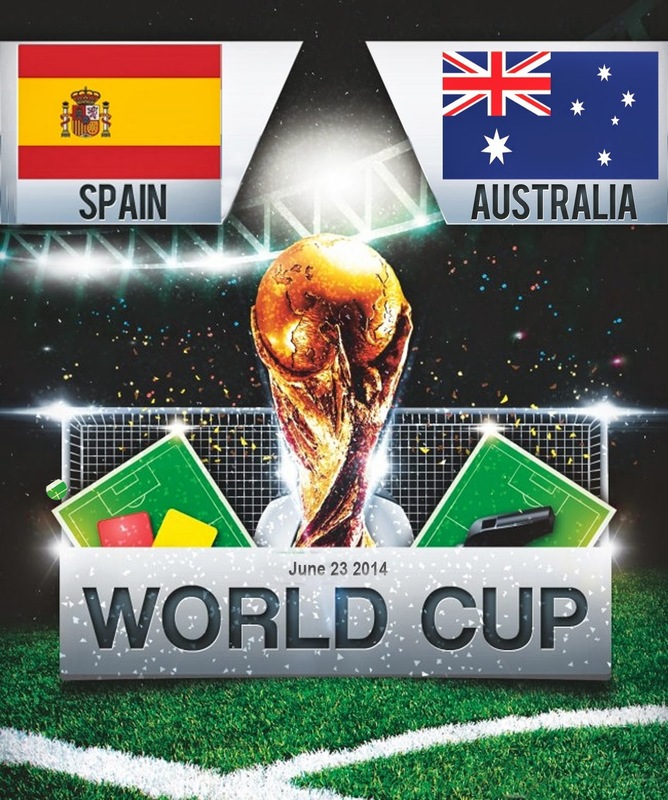 Spain lost the opening two games in the hands of Holland and Chile while Australia were also on the recieving end from those two teams now they have a chance to give a few youngsters a chance to take the field and give the traveling fans something to cheer about. 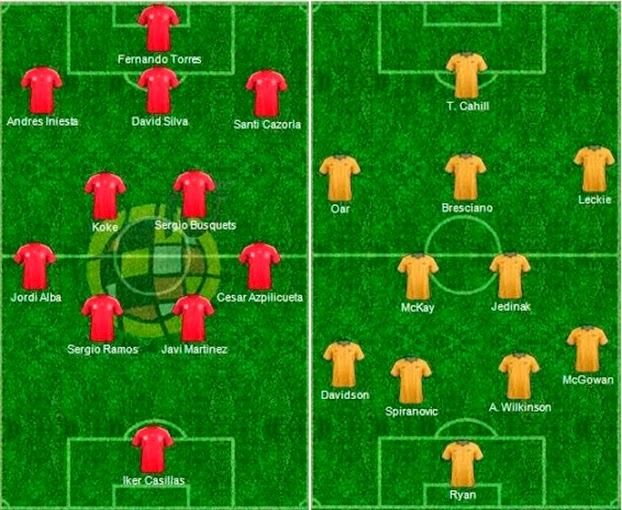 It was totally expected for Spain to make a few changes in the starting lineup, Diego Costa is most certainly set to start from the bench with David Villa taking his place upfront, Cesc Fabregas had an altercation with coach Del Bosque and he might also sit out. While Sanit Cazorla played decent football after coming on in Chile game and he is likely to start in the midfield. Australia on the other hand did made themselves proud with two great performances against Holland and Chile, even though they lost both game they gave it their all and were unlucky to have lost both games. They deserved something out of Holland game. Australia are likely to go with the unchanged lineup while you can bet your house on Del Bosque to make more than 2-4 changes in the starting lineup. Del Bosque has to ring a few changes in lineup to put up a message to under performing players, Diego Costa could not register a single shot on goal in two matches and he will be replaced by either Torres or Villa with Pedro starting alongside. Spain has too much quality in the squad to lose three straight games, So we can expect them to open up Australia in this game and score a few goals. The prediction for this match will be a easy 3-0 win for current World Champions.